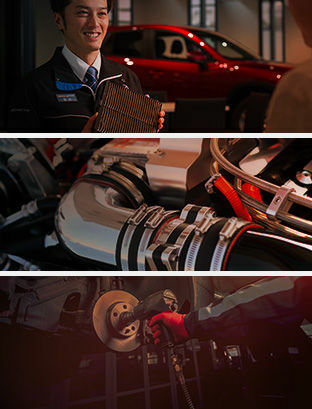 Planète Mazda is your number one destination for genuine Mazda parts and accessories in Blainville. Whatever your needs, we have what you are looking for in our parts and accessories department. At Planète Mazda, the original parts are used for all our repairs, which means that we always have a full inventory of genuine parts on sale right now in our parts and accessories department. We have brakes, summer and winter wheels, alternators and a host of other parts for new and used Mazda models. Planète Mazda offers a wide selection of Mazda accessories for your vehicle. Genuine Mazda accessories are designed specifically for your Mazda vehicle to maintain quality, reliability and performance. Come and discover our wide selection of roof boxes, trailer hitches, sports equipment transportation systems and more. Come to Planète Mazda today to learn more about all of our original Mazda parts and accessories and to browse our catalogue today.